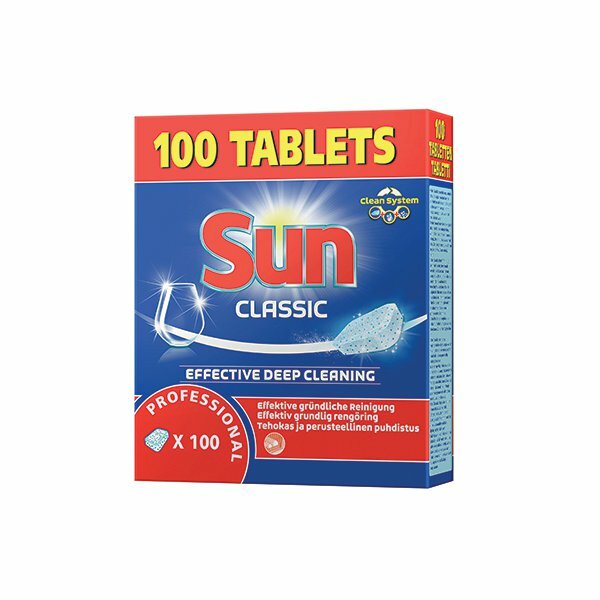 Sun Professional Dishwashing Tablets come individually wrapped in hydrofilm, ready to be placed straight in the dishwasher, so that you need not handle any chemicals directly. These tablets are both economical and effective, removing tough stains and leaving dishes sparkling. Suitable for professional and domestic use, this pack contains 100 tablets.